parents and volunteers. They also put up a photo booth and a face-painting area at the venue, the first time these were included in the gift-giving event. The photo booth and face painting truly delighted not just the kids but also the kids-at-heart, who all patiently waited for their turn. The long lines were a testament to the fun-filled activities’ success. 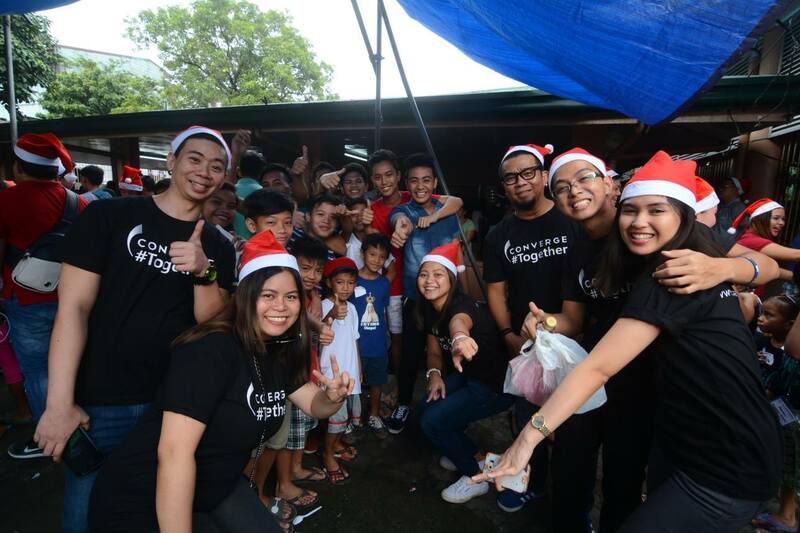 Even Converge ICT personnel, particularly their graphics design team did the face-painting themselves long after the professional face painters have left. This further elicited laughter among the kids who nonetheless remained wide-eyed with excitement. course, the face-painting. 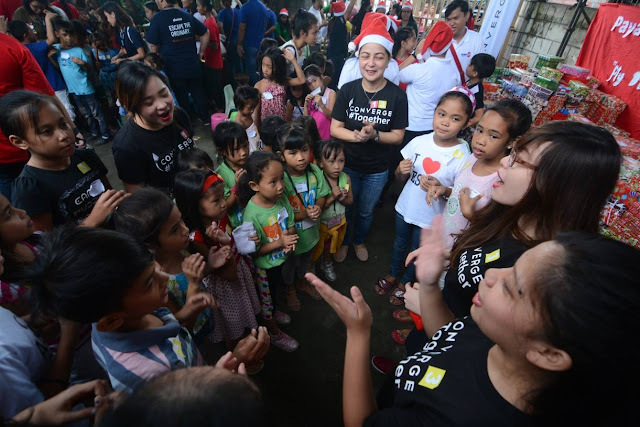 They marveled at the kiddie-friendly images drawn on either hands or face, and clearly, they had fun, even if the Converge ICT personnel took over the face-painting chores. It was an inspiring sight,” Acuesta said.